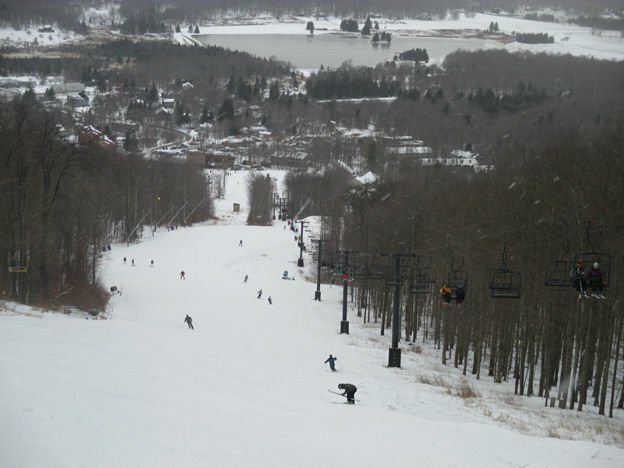 As always, with flurries of forecasts and hints of heavy snow totals I started planning, my gaze going as far up as New Hampshire where a real blizzard was brewing; but in the end the notion of 30 hours of driving for two days skiing seemed not just daunting but dim-witted. Besides while not exactly in my backyard (5-6 hour drive) a three day weekend is plenty of time for me to justify making it to one of my favorite destinations in the Southeast, the Canaan Valley region of West Virginia. Weather prospects looked good to open the new year on some fresh snow; in the end it fell short of the deep projections but the Valley still delivered a fresh white start to 2017. Classic fast long run at Timberline, White Lightening, with some nature on the side. Click to Enlarge! 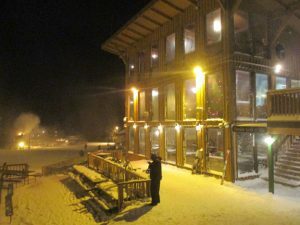 After leaving a little late on Friday I missed the day session but I was happy to start with night skiing at Timberline. Arriving after dark and a long drive makes it an adventure to suddenly be slopeside, putting on your boots trying to find your gloves and heading out for top to bottom night runs. 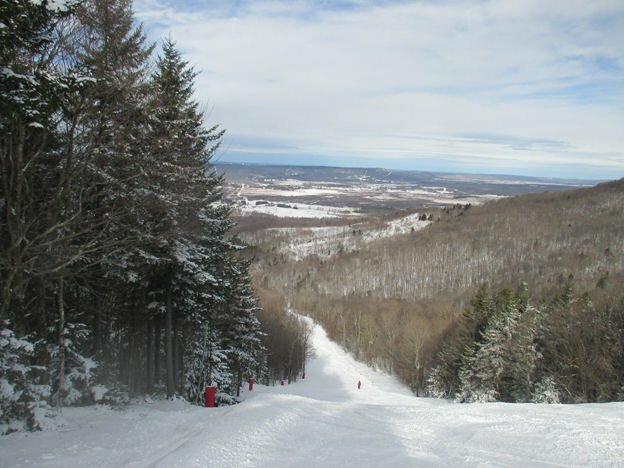 Saturday I mixed half-days between Timberline and Canaan Valley Resort, I think their proximity makes the whole Valley experience better. Each have a different flavor that compliments the other. They are both willing to open terrain around their man-made base when any natural snow arrives and I appreciate that attitude so much. Finally at both Canaan and Timberline crowds are ridiculously low, great for us skiers of course, but mystifying given the terrain and experience they serve up. 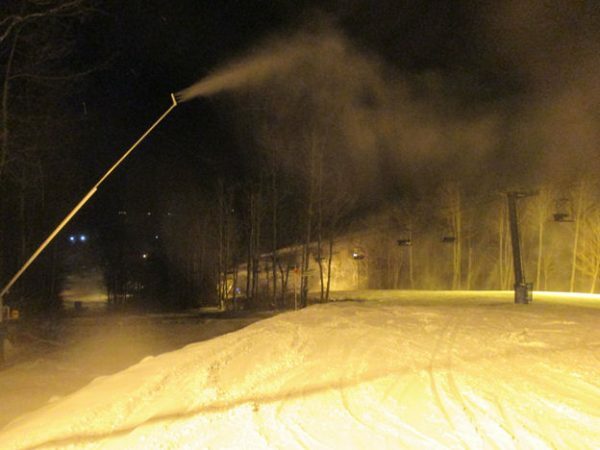 Two good ski resorts, world class cross-country and snowshoe trails and still under the radar? It’s a conundrum for sure. 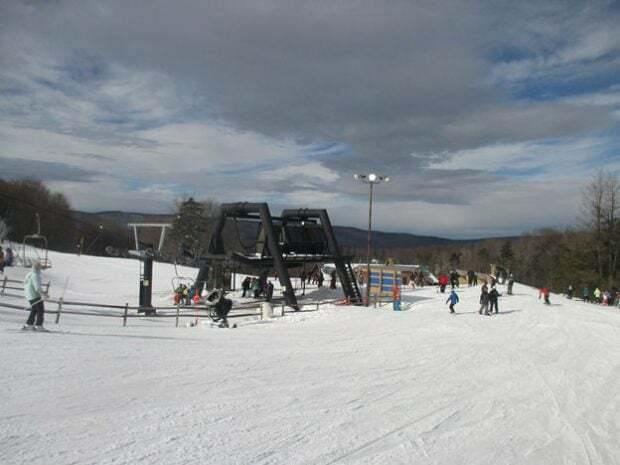 Holiday Crowds on Saturday at Canaan Valley Resort. Click to Enlarge! Storm totals did not hit the twelve inch mark which is the magical number for me and skiing in the trees that the Valley is justifiably renowned for. So I did not make it to Whitegrass Touring Center with my clunky alpine touring setup, although the cross country folks were out in force and loving the trails after too long a wait. 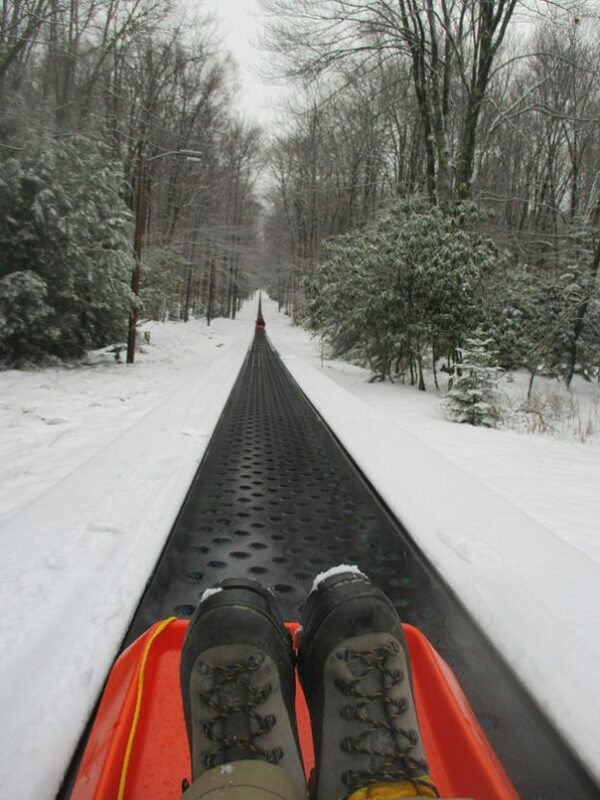 Climbing up their slopes and skiing down through the trees is what I usually do my first or last day in the valley, but given the still shallow snow depth I opted for something completely different, the sledding run at Black Water Falls State Park. 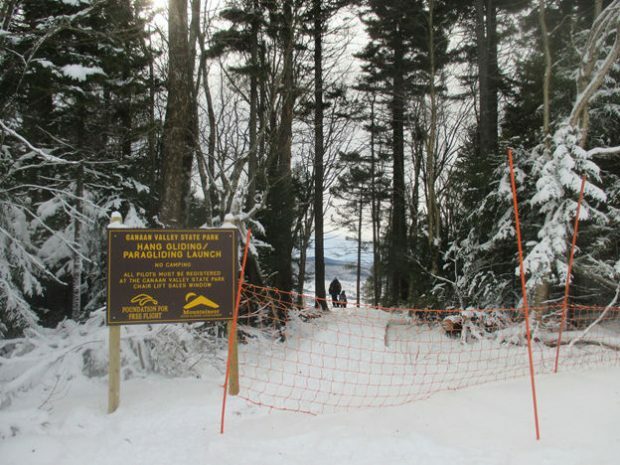 This is a wide open slope with basic rules, like don’t be stupid (although skier’s responsibility code is posted). They have snow guns and groom the slope and I was told it can become very fast; of that I have no doubt, I do love West Virginia. 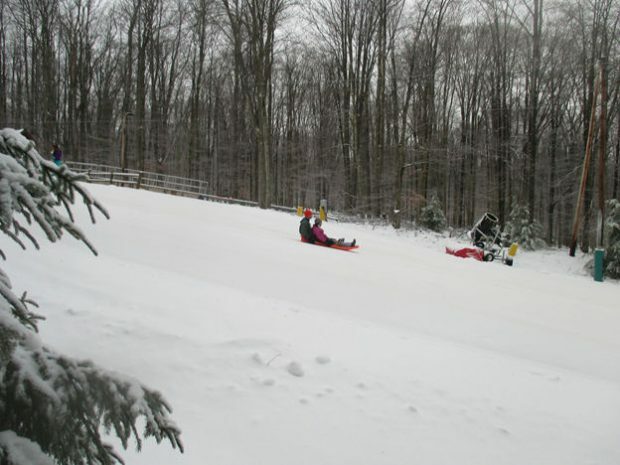 Finally here is something new for the strong of heart; Canaan Valley Resort has added Paragliding. The launching pad is off the top of the lift and the gusty view toward Mt. Porte Crayon and beyond is so beautiful it will make you weep, though perhaps that is the steady gale force wind. 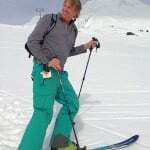 Happy New Year Skiers and Snowboarders, may the winter games begin.